Hello friends! We have more eye-catching inspiration to share with you using our October Large Die Of The Month Kit – Floral Lace Frame Die Set. This beautiful project was created by Kay Miller. 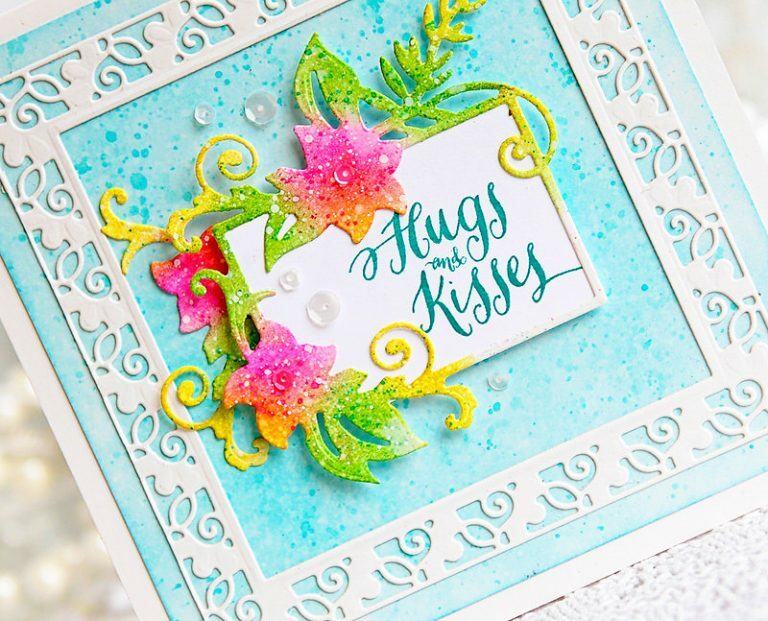 Keep on reading to learn how Kay created this stunning card. 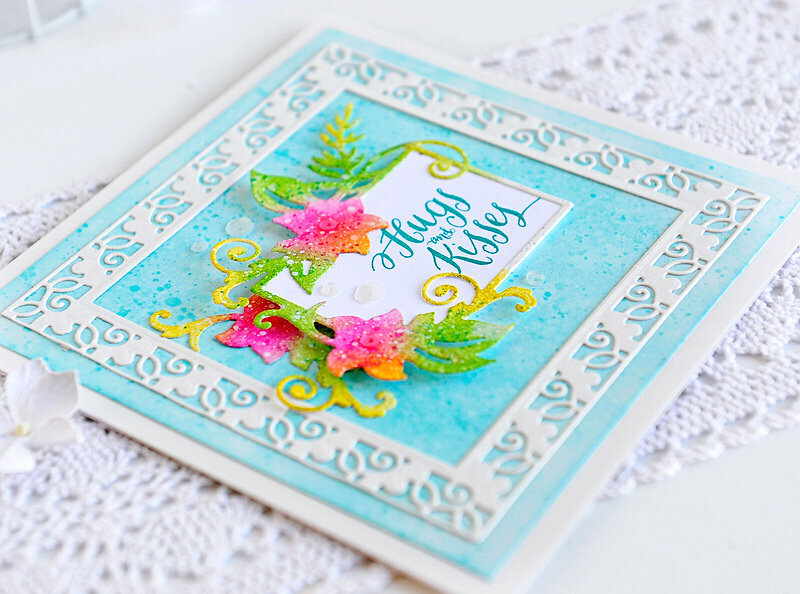 Kay says: I have a card to share with you today using the Floral Lace Frame Die Set from Spellbinders! There are some really pretty dies included in this kit. One I especially love is the large square decorative frame. I normally do A2 size cards, but because I wanted to use this whole frame on my card I chose to do a square 6 x 6 card. I have an envelope punch board, so making and envelope to fit it, is not a problem. For the background, I blended Distress inks and splattered with plain water and then some watered down ink. I layered this onto a 6 x 6 card base and then adhered the frame down. The other dies in the kit cut out these beautiful floral leafy swirls. I cut them out of Bristol board card stock and then just used my Distress inks and foam make- up sponges to color the different parts of them. I also sprinkled them with water and some of the watered down ink. The sentiment I used is from the Valentines Wishes stamp set from WPlus9. I stamped it on white card stock and added it behind the floral frame. I took one of the floral swirls and glued it flat to the card, then added the sentiment and floral frame over that with foam tape. Thanks so much for sharing your creativity with us, Kay!